Since 1987, the Navdanya programme has been saving seeds, promoting organic farming methods, raising awareness on the hazards of bio-safety, genetic engineering and bio-piracy, thereby defending people’s traditional food rights and food sovereignty in the face of globalization. 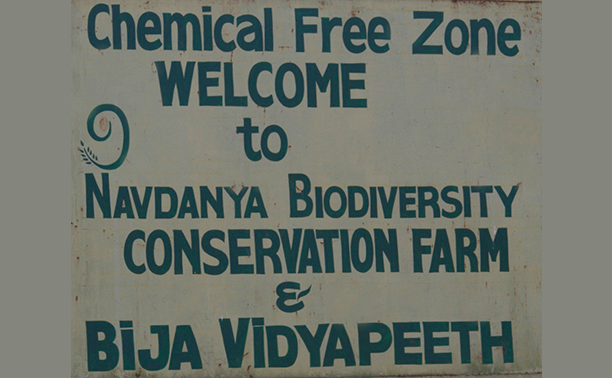 Inspired by Indian scientist Vandana Shiva’s Research Foundation for Science, Technology and Ecology, Navdanya pioneered the seed-saving movement, establishing over 20 seed banks in seven states, serving over 10,000 farmers and saving over 1,500 varieties of rice, millet, pulses, oil seeds and vegetables. Navdanya’s Biodiversity Conservation and Organic Farm in the Himalayan foothills has transformed a land desertified by eucalyptus monoculture into a habitat where more than 650 varieties now flourish, including 250 rice varieties, 30 of wheat and many medicinal plants.